Download a fact sheet about the expedition. 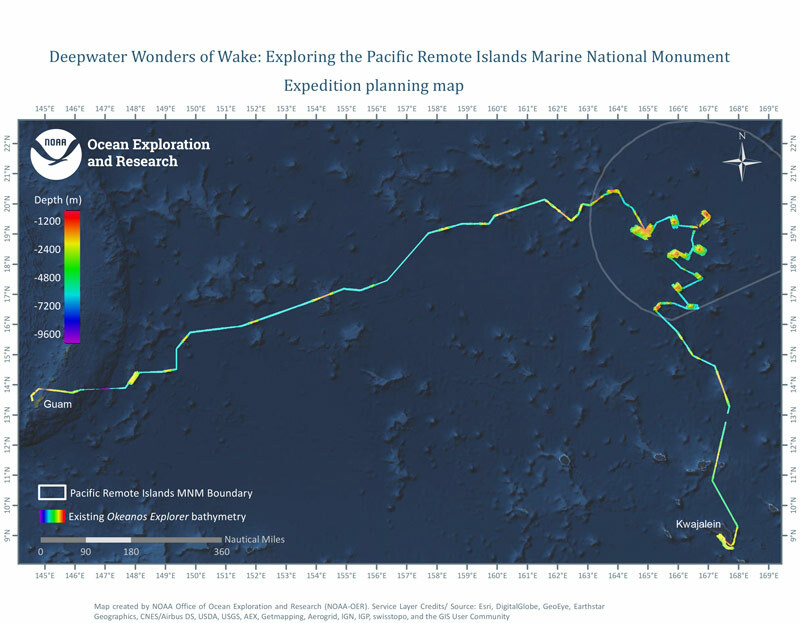 From July 27 through August 19, 2016, NOAA Ship Okeanos Explorer will explore largely uncharted deep-sea ecosystems and seafloor in and around the Wake Atoll Unit of the Pacific Remote Islands Marine National Monument. 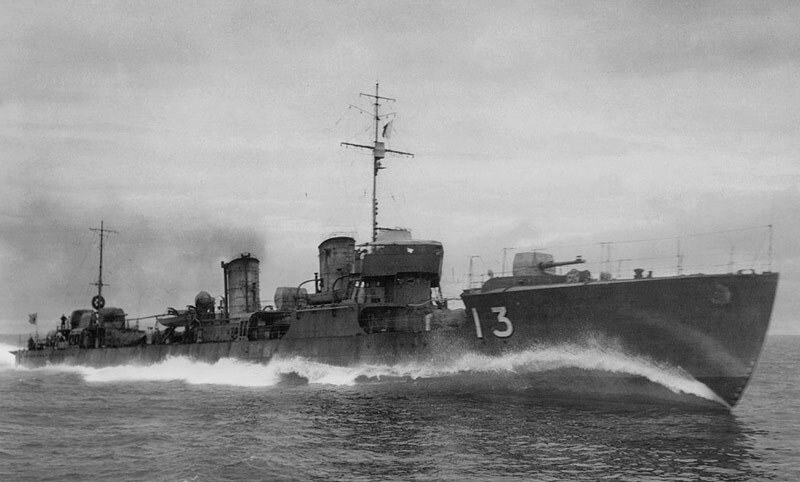 Like the other Japanese invasion operations that were to take place simultaneously with or just after the attack on Pearl Harbor on December 7, 1944, the invasion and capture of Wake Island had been laid out in advance, and its forces already allocated. Wake Island and the surrounding waters are part of the Pacific Remote Islands Marine National Monument, which lies to the south and west of Hawaiʻi. 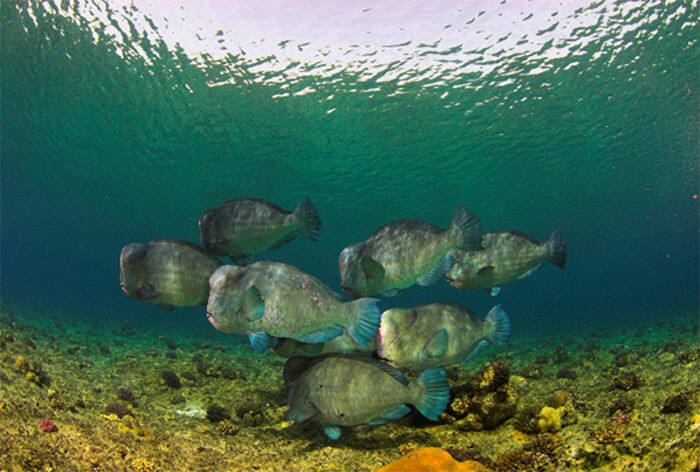 The Monument is among the largest marine protected areas in the world and represents the most widespread collection of marine life that is under a single country's jurisdiction on the planet. Identifying targets in deep water typically requires the use of two types of sonar systems. First, a hull-mounted multibeam sonar is used to survey the search area in order to create an overall image of the topography and substrate present, usually at 5 to 50-meter resolution. Once completed, this data can be used to design a higher-resolution survey using side scan sonar. 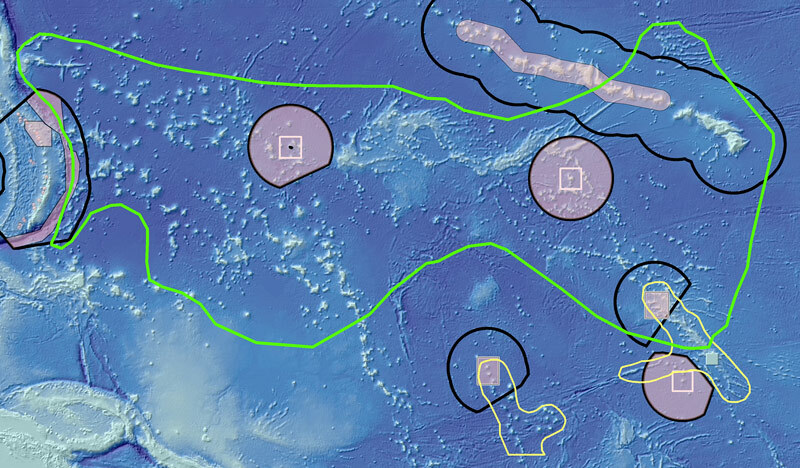 Of all of the seamounts in the Pacific, guyots have the most varied geology and therefore the most varied habitats for animals to live. 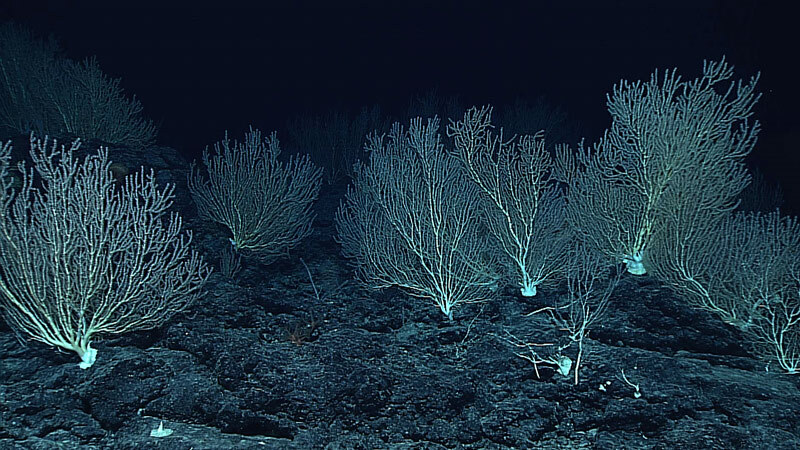 The West Pacific Ocean is underlain by some of the oldest seafloor in the world, and it hosts a large number of submarine volcanoes, referred to as seamounts. 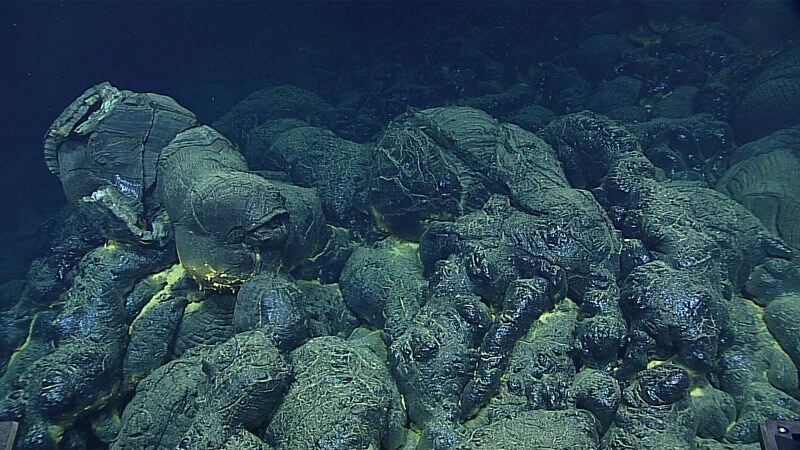 These seamounts are typically formed by small extents of melting in the Earth’s mantle, which may occur in several different geologic settings. Commercial deep-sea mining is presently in an exploratory phase, but is certain to occur because of the expected need for minerals that are rapidly being depleted from terrestrial sources.